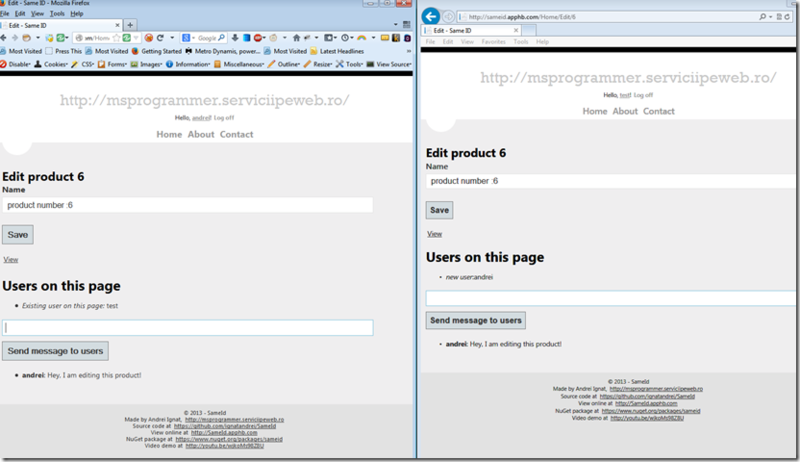 This is the second part of the demo of the Exporter in action – this time in MVC . But not in all cases the users should be notified about each other – like in , let’s say, view product Id 5. My passion for .tt files is great . 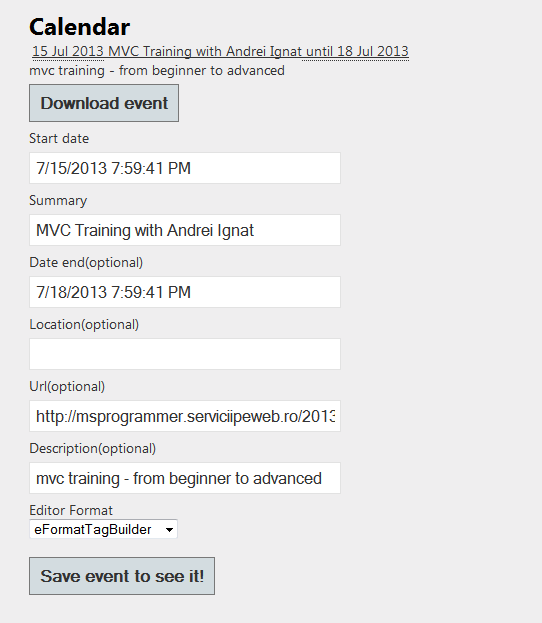 T4MVC is the best example of what you can achieve with .tt files in MVC . Now, the problem: For each project you have a help file must be created. 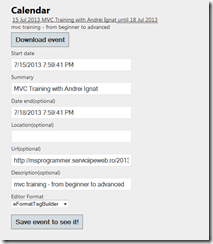 I mostly work with ASP.NET MVC projects – so I frequently have this problem. I have then created a .tt file that generates summary help .cshtml Razor files for each View that you have in an ASP.NET MVC project. This .t t file generates for you the folder structure (including Areas ) for having a view help file for each view that you have in the project. More, if the help file already exists in the project, it will be not overwritten. The jsonresult of date time is serializing to the string /Date and some integer value starting with 1970 . The problem is that the browser interprets this value accordingly to the LOCAL TimeZone – and thus the same date is going to be interpreted with a difference. I was thinking that I can adjust from UTC time offset of the server( obtained with .NET from TimeZoneInfo.Local.BaseUtcOffset.TotalMinutes) and the UTC time offset of the client( obtained with (new Date()).getTimezoneOffset() + UTCServerMinutes; ). 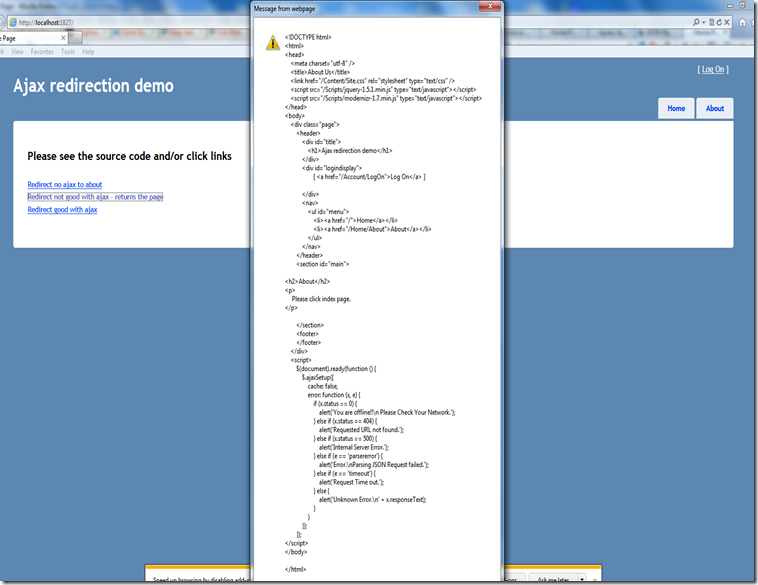 Unfortunately, the code does not work for SAMOA ( 13 hours difference). 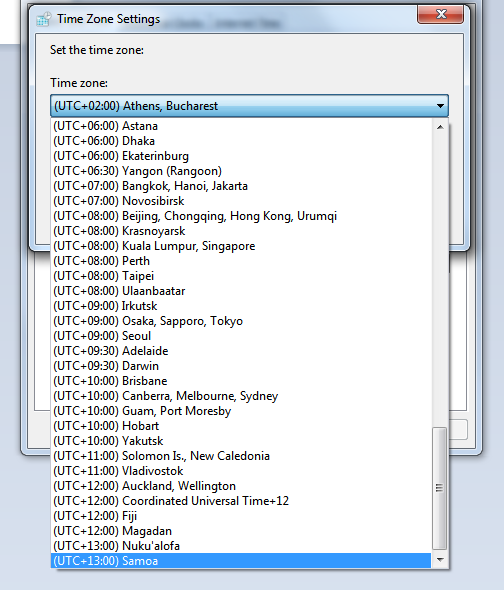 Pay attention that the server is sending SAME data – just the browser is interpreting from the local user time zone. Run the project. Click “Get Json Date” – and you will see the three dates equal. Please note that the local time zone is NOT affecting the values transmitted via ViewBag/ViewData/Model, but just the ones transmitted via Json. In the sample example I will have various methods to perform redirects from main page to “About” page of a simple MVC site. 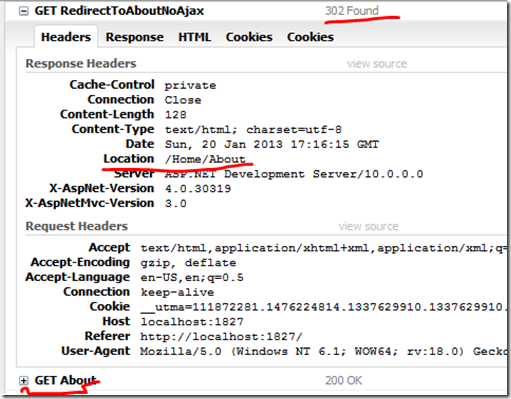 In my opinion, there are only 3 cases – 2 goods and one bad – to perform redirection with or without Ajax. 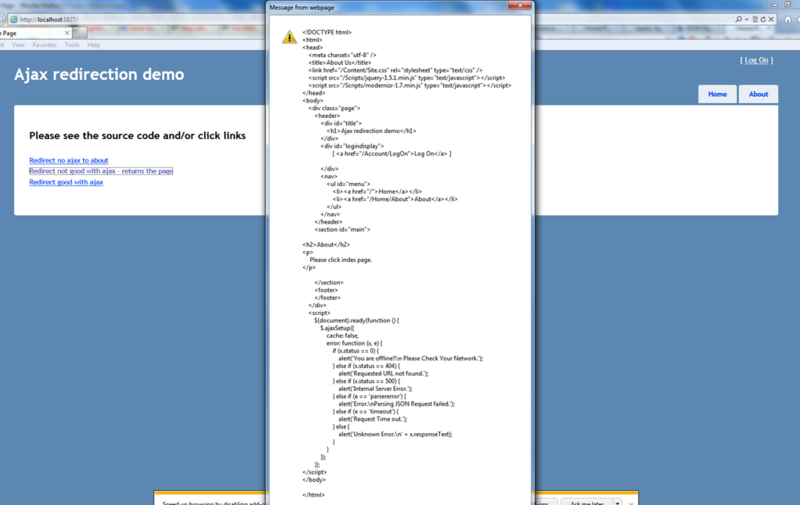 When you click the link, the following happens : a 302 Found answer is send to the browser with the new Location. The browser goes to the page requested. 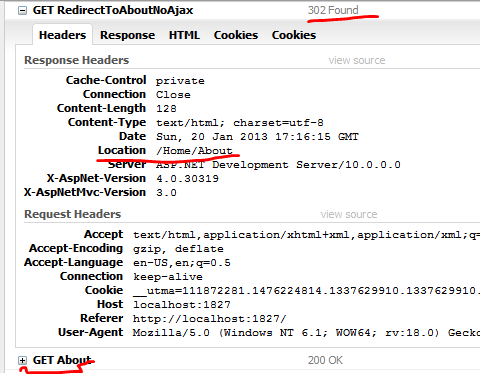 Second case( not good ajax): Call same action from ajax – in hope that ajax will do the redirect alone, without coding further.Modified only the code that calls the action, transforming to ajax. Note: You can combine the returning the RedirectToAction with Json by checking Request.IsAjaxRequest value and returning either FirstCase, either ThirdCase. If you want more details, please comment – and I will provide any further explanations.